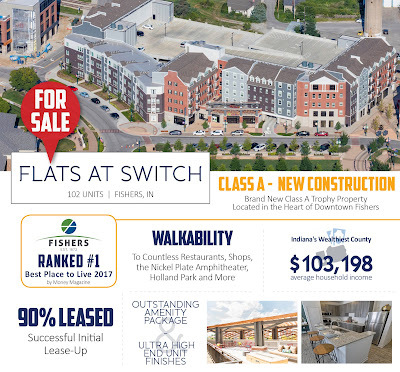 Tikijian Associates is pleased to announce the sale of Knights Landing, a 198-unit, 333-bed student apartment community located in Bloomington, IN. Bloomington is home to Indiana University, a major university with enrollment of more than 43,000 students. Tikijian Associates represented the seller, an affiliate of Foresite Realty Partners, which acted in its capacity as receiver. Foresite Realty Partners is a full service real estate firm based in Chicago. Knights Landing was purchased by New York based New Castle Realty Services. The buyer is a full services real estate firm which manages over 2,500 housing units throughout the five boroughs of New York City. The purchase was the buyer’s first in Indiana. 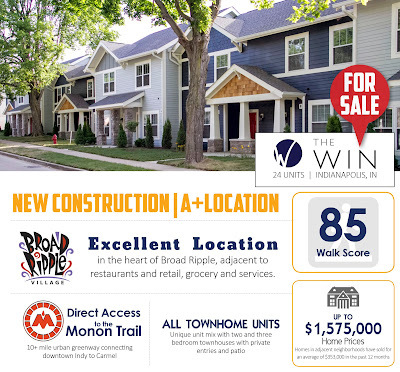 Tikijian Associates is a market-leading boutique brokerage firm specializing exclusively in the sale of multifamily properties throughout Indiana. The sale of Knights Landing was the firm’s eighteenth sale of 2017, totaling over 4,800 units and more than $325,000,000. Tikijian Associates is pleased to announce the sale of 304-unit Springhill Apartments, located on the west side of Indianapolis. 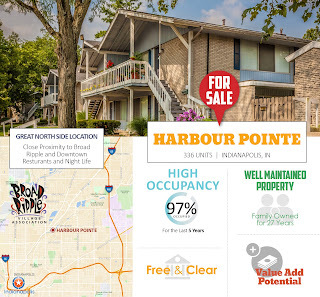 Tikijian Associates represented the seller, Zidan Management Group, an Indianapolis-based owner and manager with a portfolio of approximately 5,000 unit located in Indiana, Michigan and Chicago. The property had a history of high occupancy and was 99% occupied at closing. Springhill was purchased by New Jersey based investor, SL Systems, LLC. The acquisition was the buyer’s first in Indiana. The buyer plans capital improvements of exteriors and the upgrade of unit interiors. Louisville-based PMR Companies, will manage the property for the new owner. Tikijian Associates is pleased to announce the sale of Woodbridge Apartments, a 450-unit community in Ft. Wayne, Indiana. Tikijian Associates represented the seller, respected developer Gene B. Glick Company. Glick built the community in two phases (completed in 1980 and 1987, respectively) and has managed the property since construction. Founded in Indianapolis in 1947 by Eugene B. Glick as a home building company, Glick is now one of the largest privately owned real estate companies in America, with more than 20,000 apartment units in thirteen states. The Gene B. Glick Company has a reputation for exceptional management and maintenance and the property was in excellent physical condition and highly occupied at the time of sale. 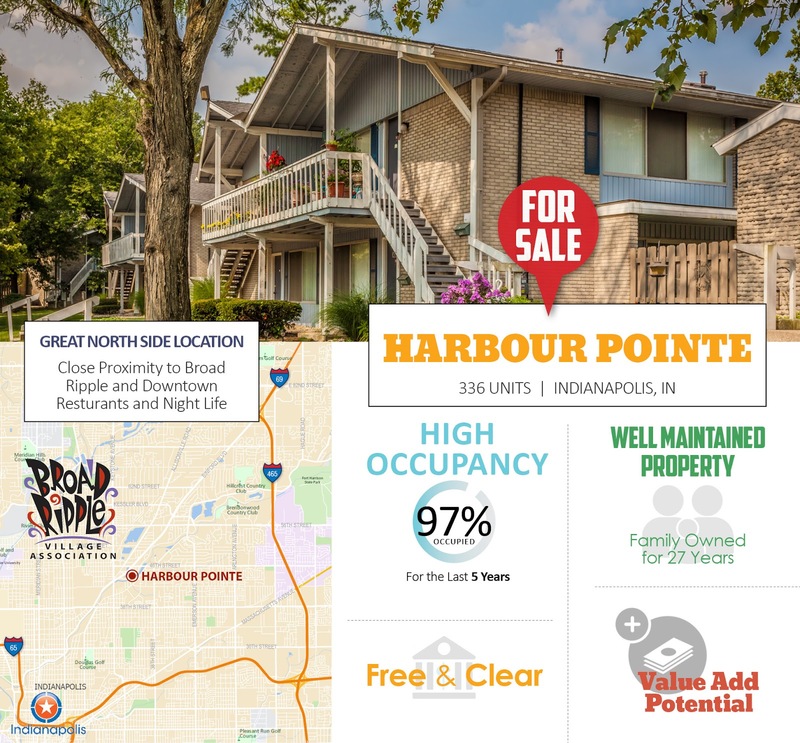 The buyer was an affiliate of Birge & Held Asset Management LLC, a rapidly growing Indianapolis-based private equity and property management firm. 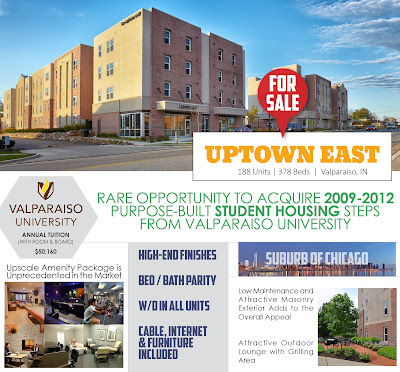 Since its founding in 2008, the company has acquired and now owns and manages over 6,000 units with a value in excess of $500,000,000 in multi-family assets across the country. Interest from investors In Woodbridge was intense. Tikijian Associates conducted over thirty-five tours with prospective buyers and received twenty-four offers. Tikijian Associates is pleased to announce the sale of Williamsburg North Apartments, a 318-unit community on the popular north side of Indianapolis. Tikijian Associates represented the seller, respected developer Gene B. Glick Company. Completed in 1963, the property was the second apartment property ever constructed by the Glick Company. Glick has managed the property since its construction. Founded in Indianapolis in 1947 by Eugene B. Glick as a home building company, Glick is now one of the largest privately owned real estate companies in America, with more than 20,000 apartment units in thirteen states. The Gene B. Glick Company has a reputation for exceptional management and maintenance and the property was in excellent physical condition and highly occupied at the time of sale. The buyer is Brooklyn-based private investor which owns commercial properties in New York and New Jersey and has acquired several thousand apartment units in locations ranging from Florida to North Dakota over the last five years. The acquisition was the buyer’s third in Indiana. Memphis-based Multi-South Management will manage the property for the buyer. 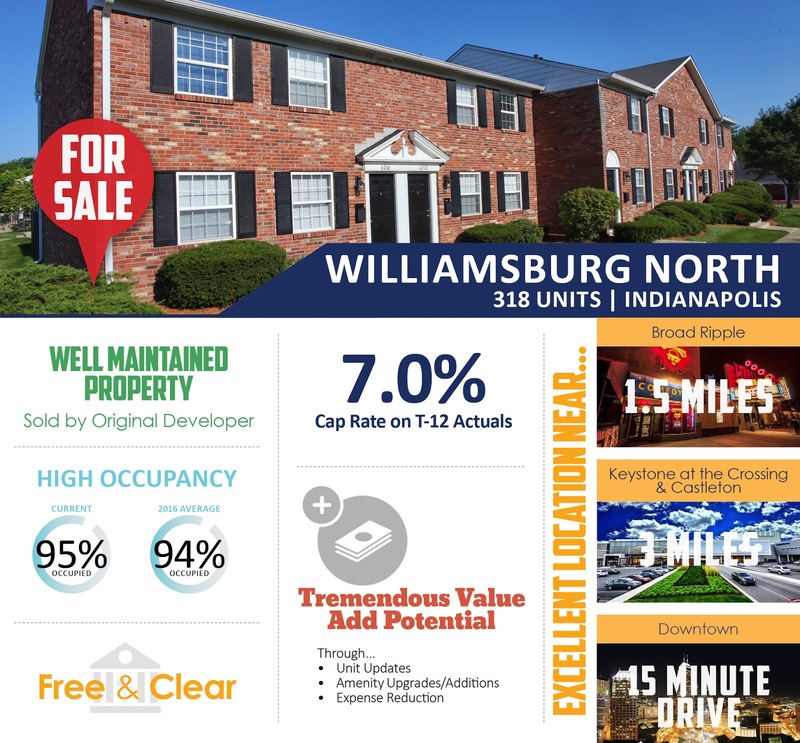 Interest from investors in Williamsburg North was intense. Tikijian Associates conducted over thirty-five tours with prospective buyers and received twenty-five offers. 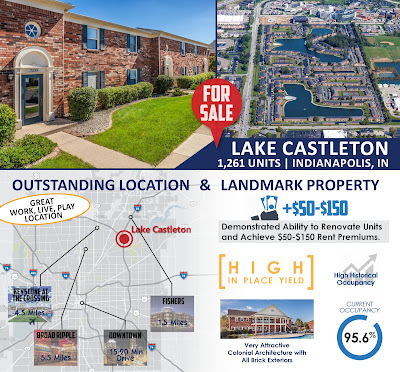 Tikijian Associates is pleased to announce the sale of Lake Castleton, a 1,261-unit apartment community located on Indianapolis’ popular north side. From the perspective of total sale price, the transaction represented the largest apartment sale in Indianapolis history. Tikijian Associates represented the seller, an affiliate of Mt. Auburn Capital, a Los Angeles-based Private REIT. Founded in 2004, the company now owns approximately 10,000 units throughout the country. Bluestone Properties, the seller’s affiliated management company, had managed the property for the seller since its acquisition from AIMCO in 2009. 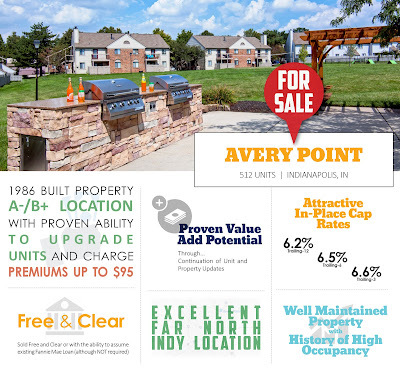 The community has been exceptionally well maintained and had a history of high occupancy. The seller had successfully begun implementation of a unit upgrade program with renovated units achieving significantly higher rents. 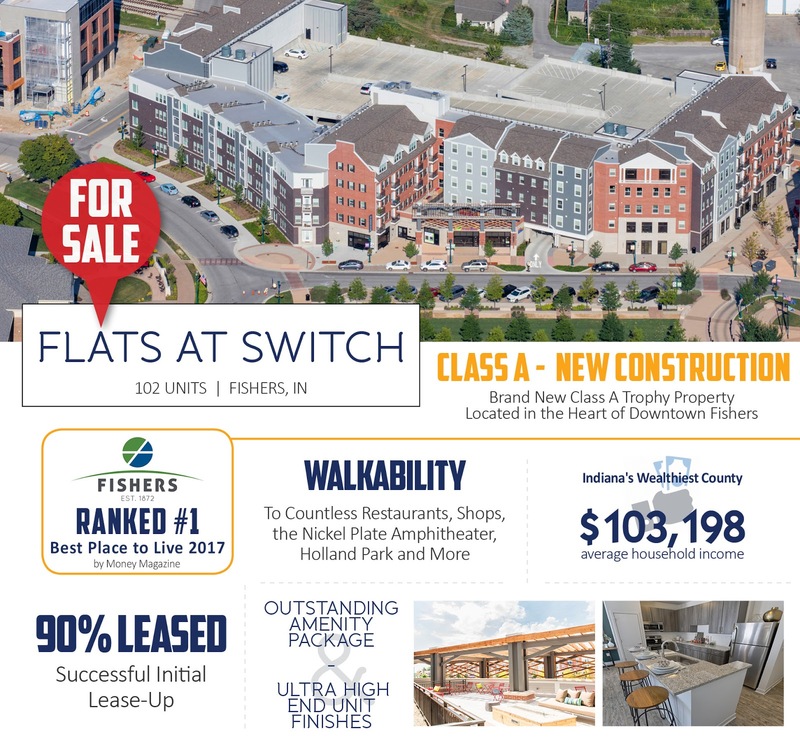 The buyer is an affiliate of Sterling Group, a well-respected developer, owner and manager based in Mishawaka, Indiana. Founded in 1976, Sterling Group owns and manages apartments and storage facilities in fifteen states in the Midwest and South. The buyer plans to upgrade a significant number of units and to enhance the property’s two clubhouses and amenities. Tikijian Associates is pleased to announce the sale of McCormick Place, a 644-bed student apartment community located in West Lafayette, IN. 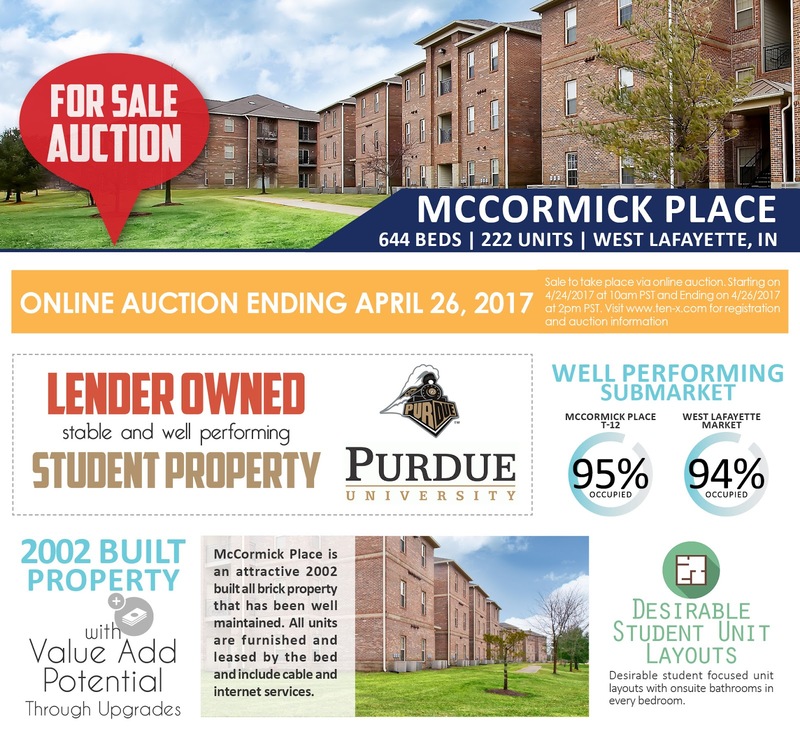 The property caters to students attending Purdue University, one of the nation’s most respected institutions of higher education. The West Lafayette campus has a total enrollment of 40,000 + graduate and undergraduate students and employs over 15,000. Tikijian Associates represented the Miami-based seller, LNR Partners. Following the acquisition of the property through foreclosure, LNR Partners hired Indianapolis based Milhaus Management to run and stabilize the property. McCormick Place was purchased by Minnesota based Tailwind Group. With over 40 years of combined experience, the Tailwind Group is focused on building and sustaining unique, amenity-rich developments. Tailwind is focused on identifying underserved and undervalued markets that have a strong college or university population and lack of a robust commercial presence. McCormick Place is Tailwind’s first Indiana acquisition and adds to their existing portfolio which now includes 10 student oriented multifamily properties. Buyer: Summit Equity Investments, Inc.
Tikijian Associates is pleased to announce the sale of Ashford at Keystone, a 455-unit apartment community located on Indianapolis’ popular north side. Tikijian Associates represented the Atlanta-based seller, The RADCO Companies. Founded in 1994, RADCO now owns more than 50 apartment communities in nine states totaling approximately 18,000 units. RADCO bought Ashford at Keystone from the Lehman Brothers bankruptcy estate in 2013 (Tikijian Associates represented Lehman Brothers in that transaction). The seller successfully rehabbed and repositioned the property during its ownership. The buyer is an affiliate of Summit Equity Investments, Inc., based in Los Angeles. Founded in 2009, Summit is a second-generation family office investor and investment manager. The Company seeks properties offering potential to add value in strong secondary markets throughout the US. The acquisition was Summit’s second in Indianapolis. The buyer has re-named the community “Summit at Keystone” and plans to continue the upgrades of unit interiors which were begun by the seller. Greystar will manage the property for the new owner. 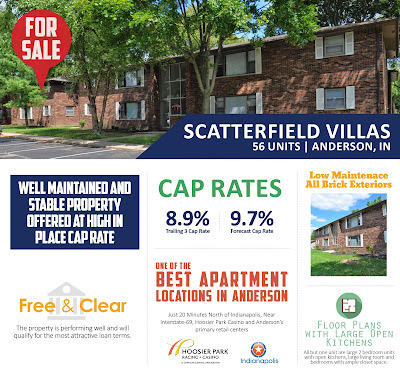 Tikijian Associates is pleased to have represented the seller in the sale of Black Bear Creek Apartments, a 226-unit community in Fort Wayne, Indiana. The seller, Ohio based White Oak Partners, is an experienced and market leading sponsor of multifamily real estate investment funds. Black Bear was originally purchased by White Oak in 2011. 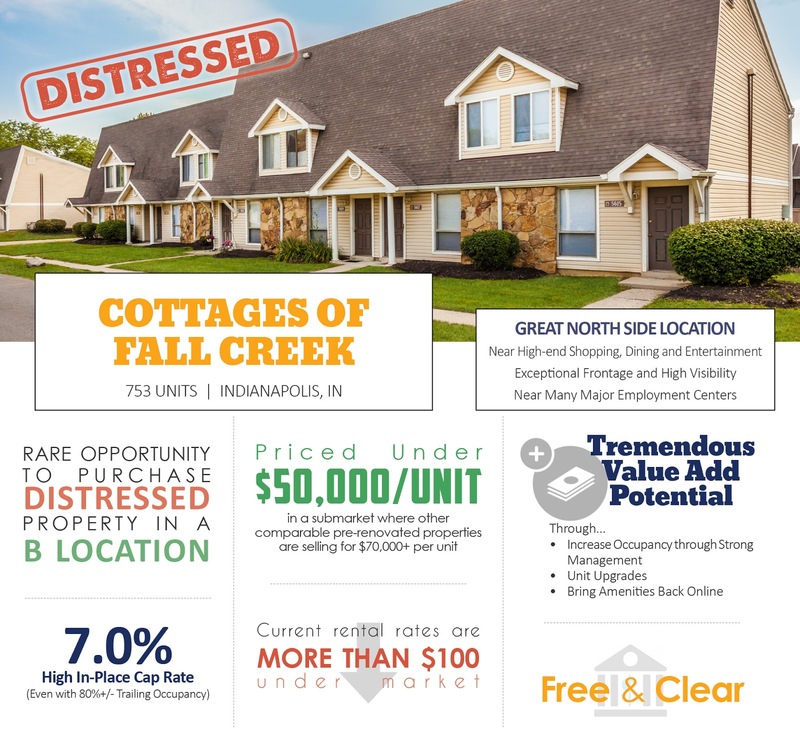 The buyer, now owner of Black Bear Creek, is Renewing Management, an Indianapolis-based owner and manager with a focus on the acquisition, rehabilitation and stabilization of multifamily properties. Renewing Management is planning significant capital improvements at the property, including construction of a new clubhouse/community building, new roofs, new windows and interior unit upgrades / updates. The new owner will supervise construction and operate the community through its affiliated management company. With the acquisition of Black Bear Creek, Renewing Management now owns and manages 23 multifamily properties and 2,500 units all located in the state of Indiana. 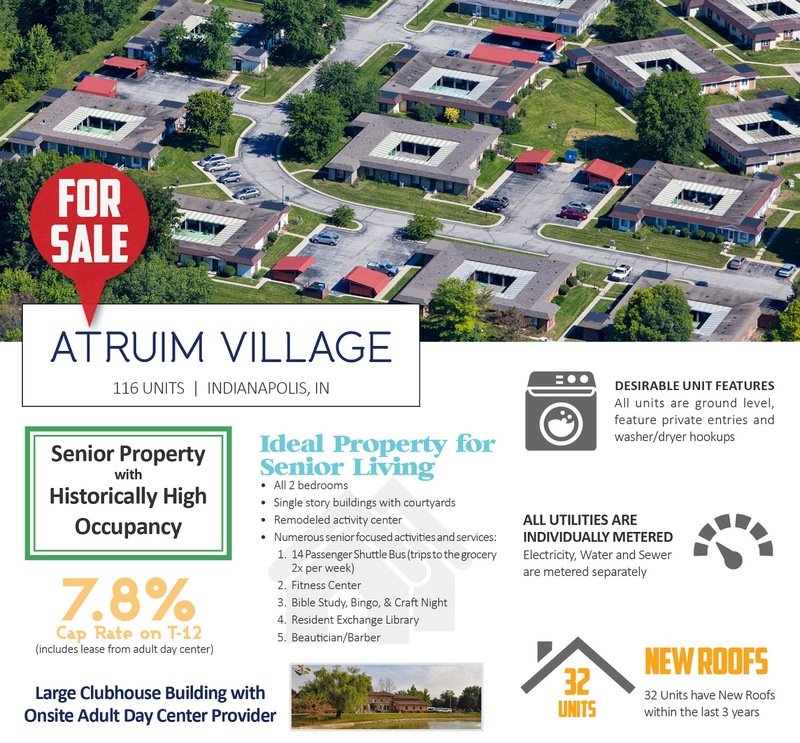 Tikijian Associates is pleased to have represented the seller in the sale of Laurel Lake Apartments, a 208-unit community on the suburban south side of Indianapolis. Tikijian Associates represented the seller, Blackhawk Realty Advisors, based in Chicago. 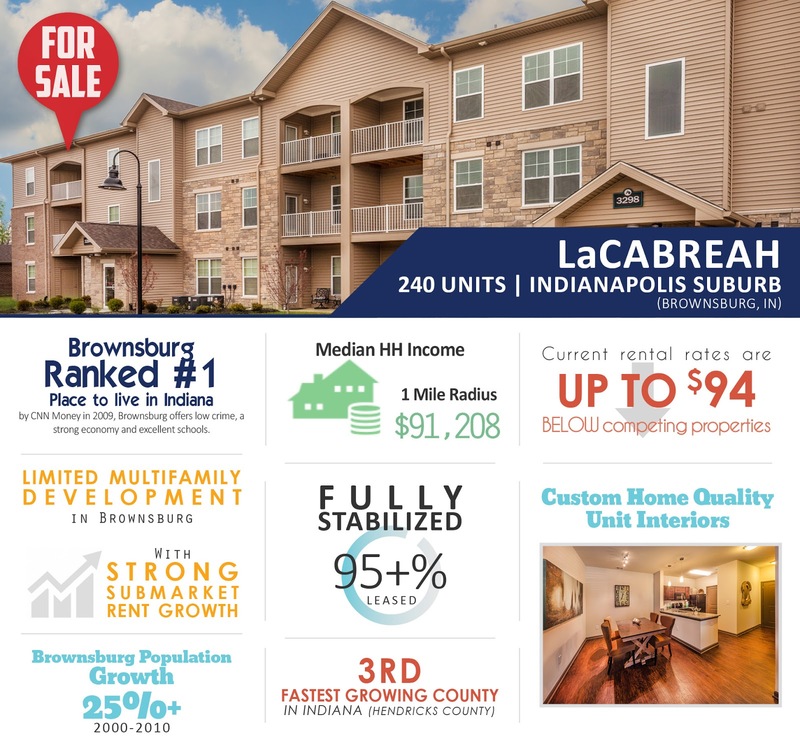 The buyer was Renewing Management, an Indianapolis-based owner and manager with a focus on the acquisition and management of multifamily properties within Indiana. Renewing Management plans to implement a capital improvement program at the property to enhance amenities, building exteriors and unit interiors with minimal impact to current residents. The buyer will manage Laurel Lake through its affiliated management company. 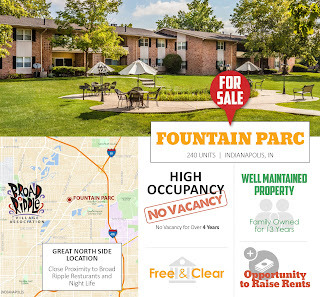 Buyer: An affiliate of Summit Equity Investments, Inc.
Tikijian Associates is pleased to have represented the seller in the sale of Island Club Apartments, a 314-unit community on the northwest side of Indianapolis, Indiana. The well maintained property was built in 1990 and is located on a beautiful 23 acre lake. The offering attracted significant interest from local, regional and national investors. Tikijian Associates represented the seller, Westdale Real Estate Investment & Management, based in Dallas. 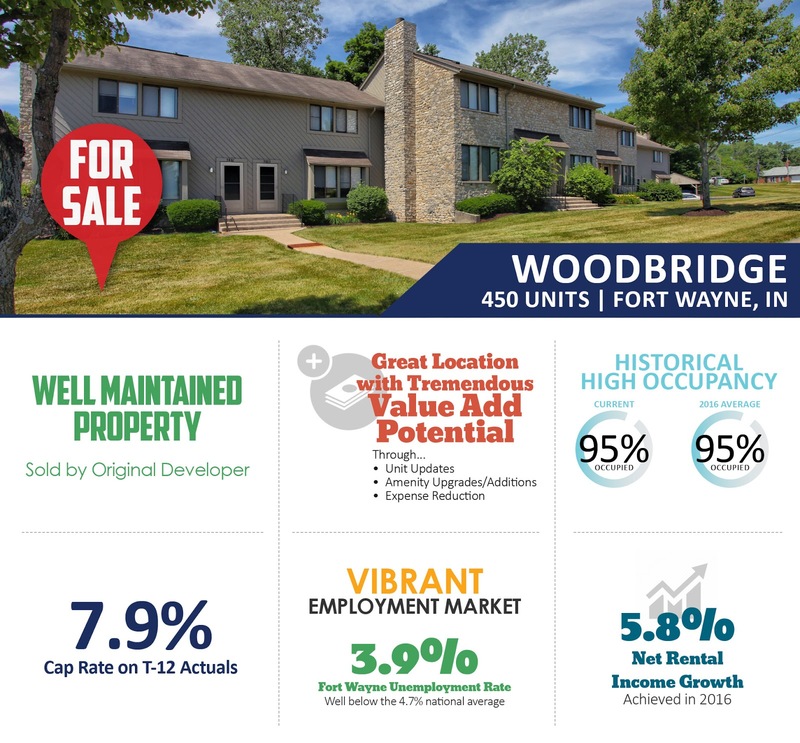 Founded in 1991, Westdale controls and manages approximately 200 commercial and multifamily properties located in 30 cities, representing a total capitalization of greater than $4 billion. The buyer was an affiliate of Summit Equity Investments, Inc., based in Los Angeles. Founded in 2009, Summit is a family office investor and investment manager. The company owns and manages over 3,000 apartment units in strong secondary markets throughout the US. The acquisition was Summit’s first in Indianapolis. Tikijian Associates is pleased to have represented the seller in the sale of Cross Creek Apartments, a 208-unit community on the northwest side of Indianapolis, Indiana. 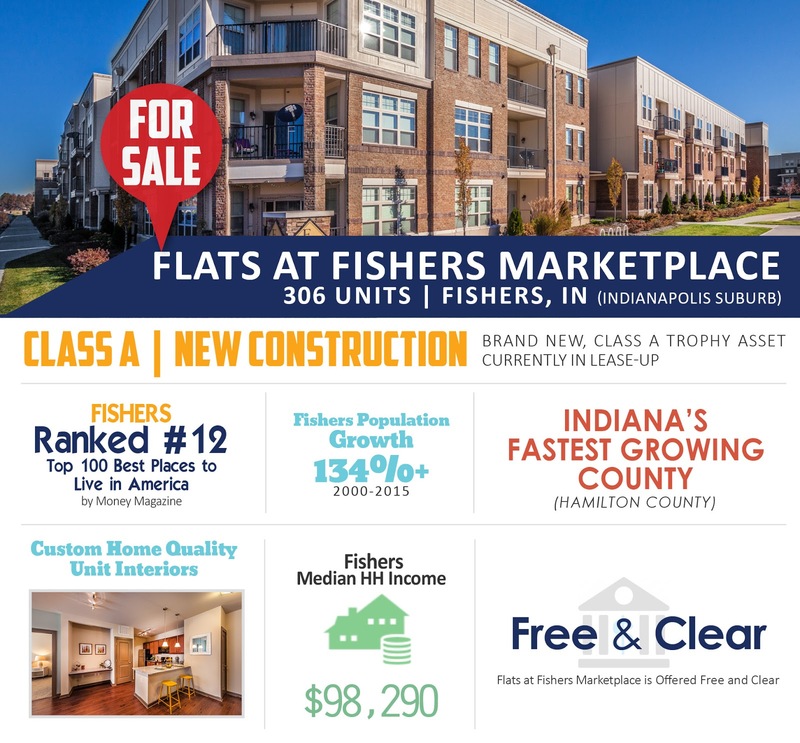 The buyer was an affiliate of Birge & Held Asset Management LLC, a rapidly growing Indianapolis-based private equity and property management firm. “We intend to rehab and reposition the property over the next 12-16 months in a similar manner to our other workforce housing assets”, said Andrew Held, President & COO of Birge & Held. Since its founding in 2008, the company has acquired and now owns and manages over $450,000,000 in multi-family assets across the country. 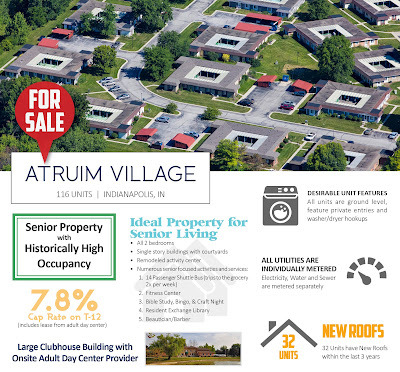 Tikijian Associates is pleased to have represented the seller in the sale of Mariner’s Village Apartments, a 244-unit community on the west side of Indianapolis, Indiana. Mariner’s Village was built in 1978 and is located on a beautiful 60 acre lake. Tikijian Associates represented the seller, Belgarde Enterprises. Belgarde is a fifty year-old privately held real estate firm based in Minneapolis. The firm’s holdings include residential properties in several states and office / warehouse properties in the Minneapolis area. The offering attracted tremendous interest from private equity investors located throughout the country. After receiving two pre-emptive offers, the seller selected a buyer and, remarkably, the transaction was completed within thirty days of the launch of marketing, and eighteen days of the choice of a buyer. The buyer was RBG Properties, a West Plains, Missouri based investor with 20+ years of experience in real estate development and apartment ownership and management. The acquisition represented the buyer’s second acquisition in Indianapolis. 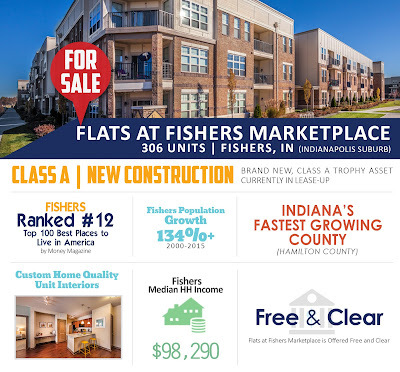 Tikijian Associates is a market-leading boutique brokerage firm specializing exclusively in multifamily sales throughout Indiana. The sale of Mariner’s Village was the twenty-third completed transaction of 2016 for Tikijian Associates, representing almost 5,500 units and more than $274,000,000 in value. Tikijian Associates is pleased to have arranged the sale of 574 units in the Estates at Eagle's Pointe Community in Peru, IN. Peru is located approximately 70 miles due north of Indianapolis. Estates at Eagles Pointe was developed in the 1950’s through the 1970’s as military housing for airmen and their families serving at Grissom Air Force Base. Grissom Air Force Base was reclassified as a reserve facility in 1994 and the housing was privatized and subsequently sold to individual home owners and two large bulk owners. Tikijian Associates represented the seller, a private investment group which also owns multifamily and commercial properties in Ohio, Maryland, Florida, Texas, Pennsylvania and Delaware. The seller acquired 135 of the units in 2009 and the remaining 449 units in 2011. The buyer was Chicago-based Trinity Affordable Housing Corporation. The buyer acquired the property using tax exempt bond financing and will operate it as affordable housing. The sale closed on November 30, 2016. 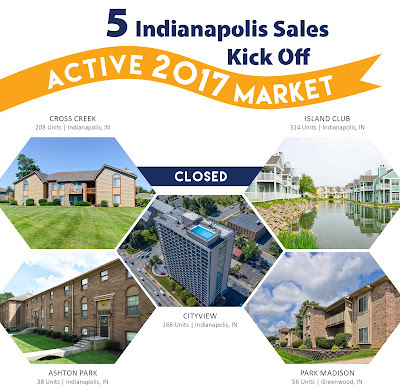 Tikijian Associates is a market-leading boutique brokerage firm specializing exclusively in multifamily sales throughout Indiana. The sale of Estates at Eagle’s Pointe was the twenty-first completed transaction in 2016 for Tikijian Associates, representing almost 4,900 units and more than $256,000,000 in value. 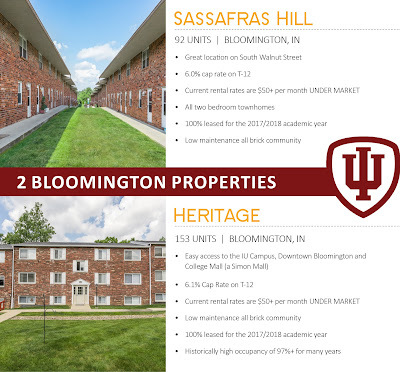 Tikijian Associates is pleased to have arranged the sale of Hunters Run Apartments on the west side of Indianapolis. 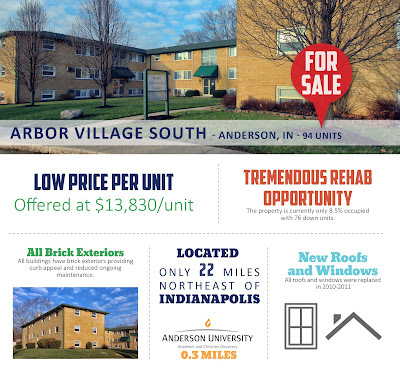 The sale of the 304-unit apartment community closed on November 10, 2016. Tikijian Associates represented the seller, Hunters Run Venture, a Chicago-based private equity syndication. The buyer and new owner of Hunters Run is Becovic Management Group. Based in Indianapolis and Chicago, the buyer owns and/or manages an extensive portfolio of apartments in Indiana, the Chicago area and Florida, as well as office and industrial properties. 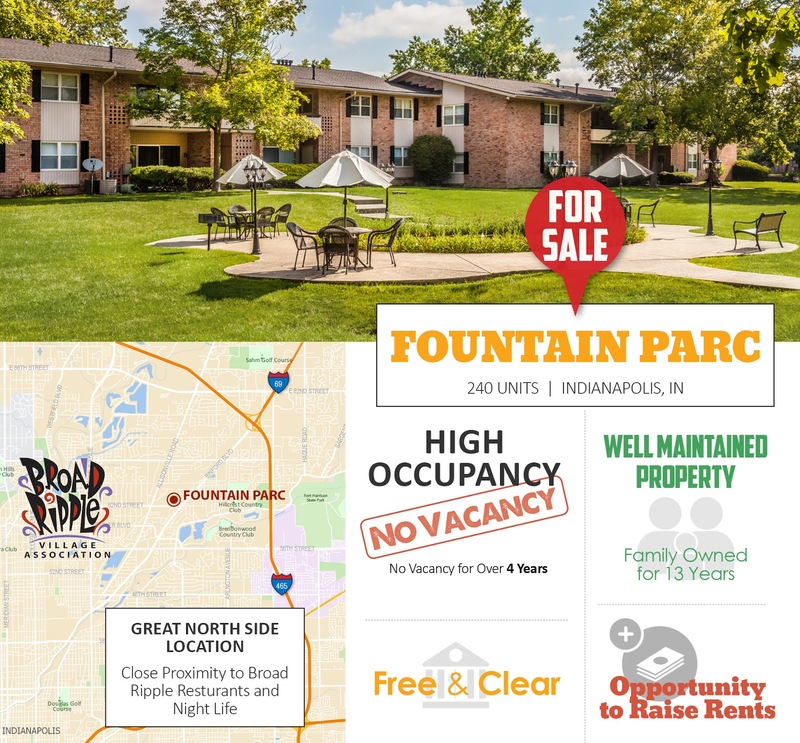 The acquisition of Hunters Run brings the company’s Indianapolis area apartment portfolio to seven properties totaling in excess of 1,300 units. Tikijian Associates assisted Becovic with the assumption of the existing HUD loan on the property which was time sensitive. Working in conjunction with P/R Mortgage and the Wooden & McLaughlin law firm HUD approval for the assumption occurred in record time. The buyer has changed the community’s name to Garden Pointe and plans a significant property-wide renovation, including improvements to amenities and unit interiors.